There are three types of divorce in Japan: divorce by agreement, divorce by litigation and divorce by conciliation (mediation) handled by the court. Divorce by agreement is possible when the spouses agree to divorce and apply to the registry. In such cases, the property is divided by agreement, but if no agreement is reached, the parties may apply for conciliation at the family court. Divorce can be achieved by litigation, but this is preceded by mandatory conciliation. When the parties fail to agree on divorce via conciliation, litigation (adjudication) procedure may be initiated. The Civil Code which contains Family Law provides that a spouse may claim the allocation of the property. If the parties fail to agree, the family court may adjudicate. The idea of the division of the property is to divide the property possessed by the spouses during the marriage. This means that the property which spouses had from before the marriage is not included. The division of the property is highly discretionary. If the court is to make the decision, “the amount of property acquired through co-operation of the spouses, and all other circumstances” are to be taken into account. The maintenance of the divorced spouse is an important factor. There are two Supreme Court judgments on the matter of jurisdiction in cross-border divorce. The first case involved a divorce between two non-Japanese nationals. The only nexus was that the plaintiff was a resident in Japan. The Court acknowledged jurisdiction. Thus, it was understood that, in general, if the defendant resides in Japan, Japanese courts have jurisdiction, but this was not unanimously supported. A more recent case involved a Japanese husband and a German wife. The wife obtained judgment in Germany in the absence of the husband. The husband was a resident of Japan. The husband initiated litigation in Japan simultaneously The first instance court denied jurisdiction of Japan, but the Supreme Court ruled that if a spouse is a Japanese national and resides in Japan, Japanese courts have jurisdiction in such cases (24 June 1996). In this case, the Court ruled that if the defendant has an address in Japan, Japanese courts have jurisdiction, but in other cases, jurisdiction should be determined on the basis of Reason (jōri). Thus, there is no established rule on the determination of jurisdiction. Between Japanese parties, it takes at the most, six months. However, with jurisdictional issues involved, it may take longer. The court cost is negligible. However, documents need to be translated into Japanese and a lawyer has to be retained. (With thanks and acknowledgement to Professor Hiroshi Oda). 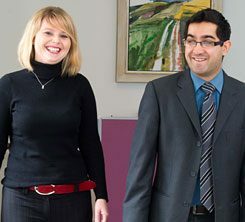 We are specialist international divorce lawyers and family solicitors and we have advised numerous clients who are either UK-based but originate from Japan, or are living outside of the UK but have a connection with England or Wales.